A view of National Museum of Qatar. Qatar Museums (QM) has announced the details of #QatarCreates, an extensive programme of workshops and panel talks organised to celebrate the inauguration of the highly anticipated National Museum of Qatar (NMoQ). The QatarCreates: Talks series of panel discussions will take place from March 25 to 29, featuring a roster of leading cultural figures from Qatar, its region and around the world. Virginia Commonwealth University School of the Arts Qatar will host a panel discussion on March 25 from 4pm to 5.30pm about how art schools have changed in the past decades and what the future of art education might look like. The panel will be moderated by QM’s director of Education Dr Jelena Trkulja. Speakers in the programme, “From the Art School to the Art World: Preparing a New Generation of Artists, Designers and Art Professionals for the Future,” will include the Virginia Commonwealth University's School of the Arts dean Shawn Brixey, the Yale University School of Art dean and Professor of Art Marta Kuzma, the Rhode Island School of Design president Rosanne Somerson, and British furniture designer and manufacturer, David Linley, The Earl of Snowdon. “Public Art & Cultural Heritage,” at 5pm to 6.30pm at the Fire Station, will be moderated by Tom Eccles, executive director for the Centre for Curatorial Studies at Bard College. The panel will feature QM’s head of Public Art Abdulrahman al-Ishaq, British artist Liam Gillick, whose new work Folded Extracted Personified has just been installed in MIA Park; French artist Jean-Michel Othoniel; and Raqs Media Collective member Shuddhabrata Sengupta. On March 26 at 11am, Mathaf: Arab Museum of Modern Art will host a panel discussion on “Museums of Modern Art—Current Trends, East and West,” focusing on aspects of curatorial practice, programming, and socio-political engagement. Moderated by ArtReview editor-in-chief Mark Rappolt, the panel will feature Mathaf director Abdellah Karroum, Los Angeles County Museum of Art (LACMA) director Michael Govan, the Whitney Museum of American Art in New York's director Adam Weinberg, Raqs Media Collective member Monica Narula, and the Moscow Museum of Modern Art executive director Vasili Tsereteli. An interactive talk on March 26 at the MIA auditorium from 11am to 12.30pm will discuss how celebrities dress for the red carpet and reveal the considerations that inform their choices. Moderated by actress Nadine Njeim the panel will feature world-renowned fashion designer Monique Lhuillier, stylist Brad Goreski and Lebanese makeup artist Samer Khouzami. The programme continues on March 26 with “The Women’s Gaze in Art and Life,” held from 2.30pm to 4pm at MIA’s auditorium. Moderated by Rebecca Rabinow, director of the Menil Collection in Houston, the panel will have as speakers Indian artist and Raqs Media Collective member Monica Narula, Qatari artist Aisha Nasser al-Sowaidi, Qatari composer Dana Alfardan, Hamad Bin Khalifa University associate professor Dr Reem Meshal, and famed filmmaker Mira Nair. Philip Jodidio, author of more than 100 books on art and architecture, will moderate a panel discussion on “Architecture as the Face of a Nation” on March 27 from 1pm to 2.30pm at the Qatar National Library. 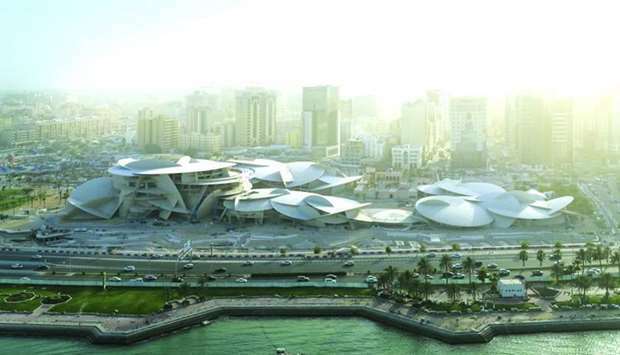 The panel will feature NMoQ's architect Jean Nouvel, Qatar National Library's architect Rem Koolhaas, Qatar Integrated Railway Project's architect Ben van Berkel, noted Qatari architect Ibrahim Jaidah; and Jacques Herzog of Herzog & de Meuron, whose firm has been selected to design the new Orientalist Museum in Doha. The first talk on the official public opening day of the new NMoQ will take place at the Museum itself on March 28 from 9.30am to 11am. Titled “Designing the Desert Rose,” the programme will feature Nouvel in conversation with architecture critic Nicolai Ouroussoff. From 11am to 12.30pm, the NMoQ will host a discussion on “Great Museums of the World.” Moderated by MIA director Dr Julia Gonnella, the panel will feature QM chairperson HE Sheikha Al Mayassa bint Hamad bin Khalifa al-Thani, the National Galleries of Scotland director general Sir John Leighton, the State Hermitage Museum in St Petersburg's director Mikhail Piotrovsky, Musée d’Orsay in Paris director Laurence des Cars and the Whitney Museum of American Art in New York director Adam Weinberg. Eccles will moderate a panel talk at NMoQ on “The Art of Engagement,” from 4pm to 5.30pm on March 28. The panelists will include Qatari ARToonist Ghada al-Khater and international artists Jeff Koons, Olafur Eliasson, Philippe Parreno, Maya Hoffman and Doug Aitken who will explore the interplay in today’s art between personal expression and social responsibility. 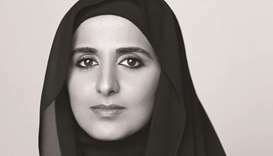 The last panel of the day, titled “National Museum of Qatar Art Films – Museum as Cinema-Space,” will be moderated by Fatma al-Remaihi, CEO of the Doha Film Institute, and will take place at the NMoQ from 6pm to 9pm. It will feature filmmakers and video artists who contributed to the making of the NMoQ, discussing the role of film in the visitor experience at the museum. HE Sheikha Al Mayassa will host a conversation with iconic designer Diane von Furstenberg on March 29 from 2pm to 3pm at QNL. The talk will touch on art, fashion and life, addressing global developments in fashion and how the fashion industry has evolved over time. The # QatarCreates: Talks series will conclude on March 29 with a presentation on “Arab Art Today” moderated by Reem al-Thani, QM’s director of Exhibitions, held from 5pm to 6.30pm at Mathaf. Participants will include Sheikha Maryam al-Thani from QM, Qatari artists Amal al-Aathem, Yousef Ahmed; Egyptian artist Wael Shawky; and Iraqi artists Ismail Azzam and Adel Abidin. Full details on the #QatarCreates events are available at nmoq.org.qa. Starting from March 28, admission to NMoQ, MIA and Mathaf will be charged at the entrance. General admission will be QR50 for adults; QR25 for students and free for children under 16, Culture Pass Plus and Culture Pass Family Members, and visitors with disabilities. 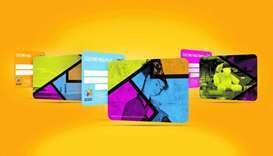 Tickets will be free of charge for residents of Qatar, with a valid Qatar ID. General admission tickets include exhibitions within the museum and are valid for three consecutive days from the date of first admission. Museum Pass is QR100 and permits admission to all museums and venues, valid for three consecutive days from the date of first admission.